The Asian Development Bank and the Government of India have signed a $375 million agreement to develop the 800-kilometer Visakhapatnam (Vizag)-Chennai Industrial Corridor. The agreement includes the first tranche of $245 million, which will develop high-quality infrastructure in Visakhapatnam and Yerpedu-Srikalahasti, a $125 million policy-based loan, and a $5 million grant to build climate change resilient infrastructure. The National Academy of Customs, Excise and Narcotics (NACEN) in Faridabad, India organized a capacity building program for Bangladesh Customs. Topics included modern clearance processes, Customs valuation, post-clearance audit, use of risk management systems, and the role of Customs in economic corridors. The State Government of Odisha will prepare a conceptual development plan for the first phase of the East Coast Economic Corridor (ECEC) by March 2017. Odisha has been included in the ECEC following discussions between officials of the Government of India and the Asian Development Bank. The Government of India has proposed formation of a National Industrial Corridor Development Authority to facilitate integrated development of industrial corridors across the country. Two corridors, the Delhi-Mumbai Industrial Corridor and the Visakhapatnam-Chennai Industrial Corridor, are currently under different stages of development. The economic corridor development (ECD) strategy is an approach that integrates and synergizes industry, infrastructure, and urbanization through meticulous planning over a long-term horizon. An Asian Development Bank (ADB) blog post by Mr. Hoe Yun Jeong, Senior Economist (Regional Cooperation), South Asia Regional Department, published on 26 July 2016, shares how an ECD approach can be beneficial for the South Asia region. 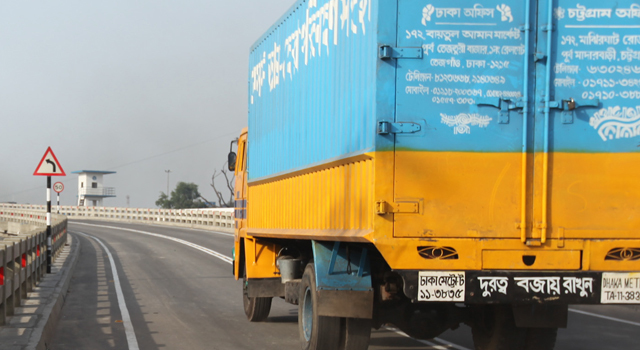 Major upgrades to modernize the Tangail-Rangpur Highway—which is part of the 1,741 kilometers (km) linking Bangladesh with the Asian Highway, and the Bangladesh-Bhutan-India-Nepal road network—are being proposed by Bangladesh Road and Highways Department, to include road widening and construction of bridges, flyovers, and culverts. The plan is currently being reviewed by Bangladesh Planning Ministry. A potential Asian Development Bank loan of $625 million will boost the planned $840 million Vizag-Chennai Industrial Corridor (VCIC). VCIC will form part of India’s proposed East Coast Economic Corridor, with 4 industrial nodes expected to double industrial output and improve productivity in Andhra Pradesh by 30% over the next 2 decades. The Asian Development Bank hosted a seminar on economic corridor development on 30 June 2015, where Dr. Pritam Banerjee, Deutsche Post DHL Trade Facilitation and Logistics Expert, discussed necessary macroeconomic reforms from the logistics perspective of economic corridor development facilitation. Mr. Srini Raju, Chairman and Founder of Sri City, an Indian integrated business city, shared Sri City's development philosophy of Work-Live-Learn-Play at a seminar organized by the Asian Development Bank's South Asia Department and the Urban Sector Group on 5 June 2015. Sri City pursues industrial growth by creating world-class infrastructure and a conducive business climate while supporting sustainable communities. The Bangladesh-China-India-Myanmar Economic Corridor (BCIM-EC) – which received formal endorsement through an inter-governmental group meeting in December 2013 – could potentially bring significant benefits to the four countries by deepening economic cooperation and integration. BCIM-EC will increase socio-economic development and trade in South Asia. The Royal Kingdom of Bhutan and India are moving to more sophisticated technologies in an effort to increase trade efficiencies between the two countries. In May 2014, government officials from Bhutan and India agreed to embark on a feasibility study that will pilot UNESCAP's Secure Cross-Border Transport Model (SCBTM) along key trade corridors, aimed at speeding up and reducing the cost of trade through designated land routes and border-crossing points. The experience of economic corridor development in different regions across continents is examined in this publication, which shares detailed models that assess the economic impact of corridor investments. The South Asia Subregional Economic Cooperation (SASEC) model highlights the regionally inequitable impact of corridor projects and focuses on the incremental effects of infrastructure investments in terms of gains in per capita income. About 160 officials from 30 countries participated in the ADB conference on RCI held on 26-27 March in the PRC.